Ezer Weizman was an Israeli air force general, politician and the seventh President of the State of Israel. A nephew of Chaim Weizmann, Ezer was born in Tel Aviv in pre-State Israel and raised in Haifa. He learned to fly at 16 and began his long military career as a fighter pilot during World War II, joining the Royal Air Force in 1942 at age 18, and serving in Egypt and India. Returning to Mandatory Palestine after the war, Weizman was one of a handful of pilots who founded the “Air Service” of the Haganah. At the beginning of the War of Independence, he was sent to Czechoslovakia to learn to fly Messerschmidt planes and fly one of them back to Israel. During the war, he participated as a fighter pilot on all fronts, and flew ammunition and supplies to the Negev and to Gush Etzion. He was appointed squadron leader in 1949 and, in 1950, was named head of operations of the Israeli Air Force (IAF). The following year he attended the RAF Staff College in England and became commander commander of the IAF in 1958, serving in that position until 1966. One of his innovations was the introduction of electronic warfare systems in aircraft. From 1966 to 1969, Weizman served as head of the Operations Branch in General Headquarters, and was appointed deputy chief of staff with the rank of major general under Chief of Staff Yitzhak Rabin. During the Six-Day War, he formulated the successful air campaign that destroyed the enemy aircraft in a preemptive strike. When Rabin suffered a 24-hour breakdown at the outbreak of the war, he asked Weizman to take command, but Rabin soon returned to active service. He retired in 1969 with the rank of major-general, and turned to politics, joining the Herut Movement. Though not elected to the Seventh Knesset in 1969, he was appointed minister of transportation on behalf of Gaḥal in Golda Meir’s cabinet. He resigned from the government, along with other members of Gaḥal, because of Meir's willingness to consider the Rogers Plan. From 1971 to 1972, he served as chairman of the Ḥerut movement but resigned over a controversy with Menachem Begin on the distribution of seats in the party’s Central Committee. He rejoined the Ḥerut Movement in May 1973. After his son Shaul was wounded during the Yom Kippur War, Weizman started to become more moderate in his approach to the conflict with the Arabs. An outspoken individual with strong political views and a vivid personality, Ezer Weizman maintained a high and at times highly-provocative public profile, even while in the army. In the two and a half decades following his retirement from the military, Weizman served in many key political posts. He ran the election campaign that brought Likud leader Menachem Begin to power in 1977. Begin appointed him as Minister of Defense. Weizman played a major role in the peace process with Egypt, establishing warm relations with Egyptian President Anwar Sadat and Prime Minister Mustafa Halil. He was a member of the delegation, headed by Begin, which negotiated the Camp David Accords with Egypt in September 1978, and participated in the negotiations leading up to the peace agreement with Egypt in March 1979. Weizman was responsible for the Litani Operation in Lebanon in March 1978, but, soon thereafter, proposed the establishment of a National Peace Government – an idea rejected by Begin. Weizman became increasingly critical of the government's attitude toward a settlement with the Palestinians and clashed with Ariel Sharon over his settlement activities. In May 1980, he resigned from the government, allegedly over cuts in the defense budget, but in fact because he disagreed with Begin over the way in which the negotiations on autonomy for the Palestinians were being conducted. In November 1980, he voted against the government in a vote on a motion of no-confidence. As a result he was expelled from the Ḥerut Movement, but refused to relinquish his Knesset seat. He retired from politics to pursue a business career from 1980 to 1984. Before the 1984 elections to the Eleventh Knesset, he formed the Yahad party, which won three seats. Soon after the elections, however, he joined the Alignment, and thus helped tip the balance in favor of the establishment of a National Unity Government based on parity between the two main political blocs and a rotation in the premiership. From 1984 to 1988, Weizman served as minister without portfolio, in charge of Arab affairs. In the government formed by Yitzhak Shamir in 1988, Weizman was appointed minister of science and technology. However, at the end of 1989 Shamir threatened to fire him from the government because he had had unauthorized contacts with PLO members. After the breakup of the National Unity Government in March 1990 he decided to distance himself from politics and, in February 1992, resigned his Knesset seat. A year later, he was elected as the seventh President of the State of Israel. As president, Weizman renewed an institution established by one of his predecessors — a monthly gathering of intellectuals and academics entitled the “Bible and Jewish Sources Group,” dedicated to examining and discussing core Jewish issues. This rather exclusive and prestigious circle became a “traveling forum.” Monthly deliberations were conducted in a different outlying location, with former Supreme Court Justice Menachem Elon acting as moderator. In addition to planned visits to various communities and participation in major public events, Weizman adopted a schedule that included unplanned and spontaneous visits closely tied to unfolding events, many of them tragic. Thus, during the July 1993 "Accountability" campaign against Hezbollah terrorism, the president demonstrated his solidarity with Israeli citizens living on the northern border by visiting them while their towns were still under shell-fire, staying the night with the inhabitants and even sleeping in a bunker with IDF soldiers. Weizman took a more active role in political developments than did Presidents in the past — first behind-the-scenes, later publicly — and his actions were a source of public controversy. Political figures involved in the peace process met with Weizman, even though this was not part of diplomatic protocol. Moreover, as President, Weizman openly criticized the government's performance and attempted to prevent derailing of the peace process. After the Palestinian terrorist attacks in the beginning of 1996, he called for the suspension of talks with the Palestinians. Later, he criticized Prime Minister Benjamin Netanyahu for the way he was conducting the peace process, and enraged Netanyahu by visiting President Hosni Mubarak of Egypt to discuss ways of ending the stalemate in the peace process. He was also criticized by Yosef “Tommy” Lapid for going to see the mentor of Shas, Rabbi Ovadiah Yosef, to try to convince him to support the peace process. While President Weizman conducted state visits to Great Britain, India, South Africa and Turkey, meeting national and Jewish leaders in his travels, he focused more on Israel itself and its citizens — Jews, Arabs and Druze — and on Israel's immediate neighbors. Weizman managed to enrage many women by expressing chauvinist positions regarding the place of women in society, the homosexual community by making homophobic remarks, and many citizens for his frequent refusal to reduce the sentences of prisoners imprisoned for criminal offenses. Nevertheless, due to his charm and sincerity, and his practice of visiting the families of fallen soldiers, and visiting many of the wounded in the hospital, he was extremely popular with the general public. Weizman’s strong personality and unique manner, which pervaded every task he undertook— from air force commander to government minister — also colored his presidency. Weizman’s down-to-earth manner was quite different from the statesmanlike image and “elevated status” that characterized most of his predecessors. His unique character endowed the presidency with an informality and lack of reserve that reflects the warm, dynamic and unstructured nature of Israel’s society. 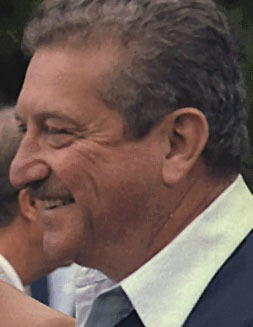 Weizman was re-elected to a second term in May 1998. He resigned from the Presidency in July 2000 when allegations of bribery surfaced related to his time as a lawmaker and cabinet minister. Charges were never pressed because the statute of limitations had expired. He wrote four books: On Eagles’ Wings: The Personal Story of the Leading Commander of the Israeli Air Force (1979); The Battle for Peace (1981); with Dov Goldstein, Lekha Shamayim, Lekha Ereẓ (1993); and Rut Sof: Biografiyah (2002). Weizman died April 24, 2005, at his home in Caesarea at the age of 80. A few months after his passing, Weizman was voted the 9th-greatest Israeli of all time in a poll conducted by an Israeli newspaper. S. Eilati (ed. ), Yaḥad Shivtei Yisrael: Rav Si'aḥ im Nesi Medinat Yisrael (1996); Y. Kotler, Hapolet: Ezer Weiẓman Kemot Shehu (2000).